We spend a lot of time talking about entry-level models, because it’s important to see the bare minimum a vehicle has to offer, but some drivers want to go all out. Before going all out on the 2016 Chrysler Town & Country Limited Platinum, price it out and compare it to a competitor. We think you’ll find that when it comes to amenities, a vehicle like the 2016 Honda Odyssey Touring Elite has it beat. Let’s take a look at some key differences. After investing in a new family vehicle, it’s important to know that it will be kind to your budget for the years that it serves you. Fuel economy is one of the best ways to budget for your monthly auto expenses. The 2016 Chrysler Town & Country Limited Platinum gets an EPA-estimated 25 highway and 17 city mpg, which is on par with many minivans. The differences there will add up with every trip to school or soccer practice. 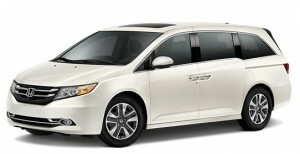 Vacuum Cleaner: The HondaVac vacuum is a Honda-exclusive feature that lets you keep your minivan looking sharp. Navigation: While both high-end minivans have navigation built in, the Odyssey features real-time traffic and voice controls. Rear Audio Controls: Set a different volume for the kids (if they aren’t taking advantage of the rear entertainment system). These are just a few of the amenities that set the Odyssey apart from the Town & Country at their top trim levels. Trust us that there are more, and we would love to show them to you. The 2016 Honda Odyssey is available for test drives now at a Central Illinois Honda Dealer near you. Visit one of our locations today to get behind the wheel of a new Honda. Don’t forget that the new Pilot seats up to eight passengers, just like the Odyssey, and can fill the needs of both a minivan and a work vehicle.